Now that 90’s fashion is making it rounds back into our lives, we can't miss out on one fashion piece everyone just cant get enough of… women's jumpsuits & dungarees! 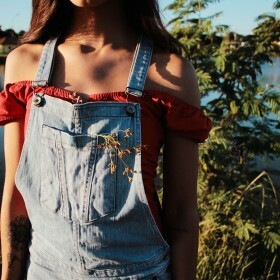 The versatility of dungarees and jumpsuits are endless. It works as a spring piece with a open-buttoned white shirt, as an fall piece with a nice teal-colored sweater, as a summer piece with your favorite pastel tee and as a winter piece with a warm gray sweater under it. Go denim on denim and pair it with a denim jacket for a look you will love.